Seems to have irritated absolutely everyone. Did he need to bring soccer into it? Did he pick a good example considering that game sells out weeks in advance? Or is everyone over thinking it, if you cant bring the kids to the Dubs, you might bring them elsewhere with all the risks that brings. Dublin GAA player/supporter/manager/administrator is disconnect shock!!!! I've no problem with Dublin playing home games in Parnell Park. Although, as I said prior to the "Newbridge or Nowhere" game, having a 50/50 ticket allocation is utterly ridiculous for games that are expected to sell out (unless they are designated neutral games of course). Otherwise home should get 80%, away 20%. If home can't sell the 80%, then balance is offered to away team. Any left after that goes on general release. Looks like our Alan has had his Damien Duff moment! People get offended very easily. 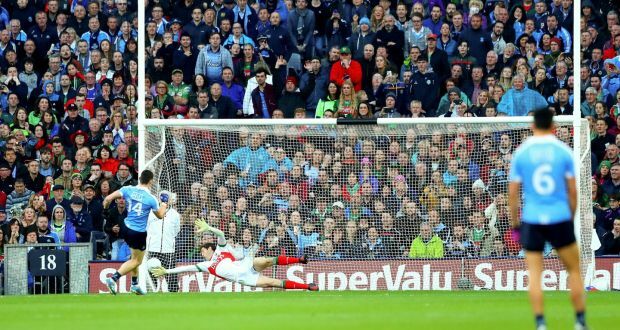 The motion is calling the GAA's bluff. It is ingeniously worded. Dublin had their butter on both sides last year. And the GAA hid behind Croke Park being a neutral venue malarkey!